Here are two new soft homemade cat toys in my collection. The bigger toy cat is a soft pillow cat. It is made out of recycled baby coat and it is stuffed with recycled stuffing used from an old toy that had to be thrown away. The larger handmade toy cat holds a heart in its hands. This heart is made out of upcycled baby sweater crocheted over with recycled yarn. The smaller handmade toy cat is made out of old baby sweater. These handmade toys are eco friendly and making them is a fun and easy way to go green. 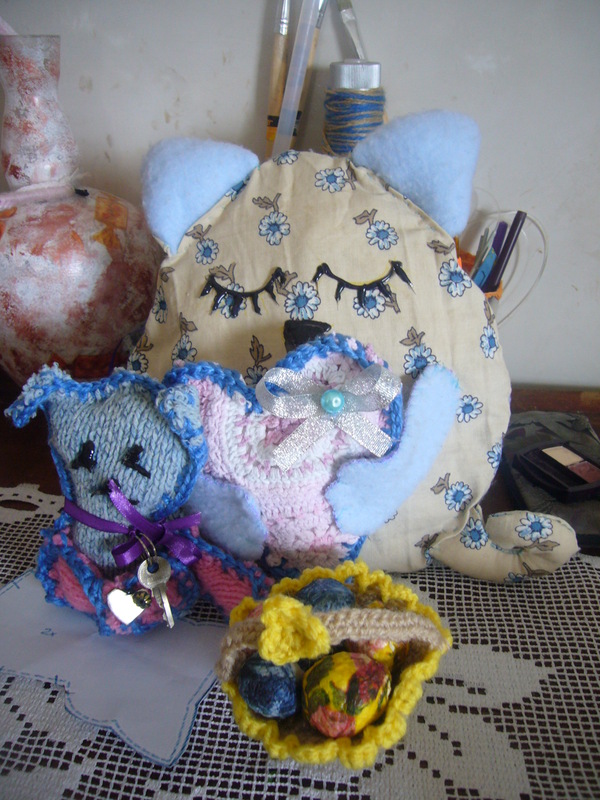 Both handmade toy cats are handstiched. Feel free to contact me at kievtranslator@gmail.com to order your custom made go green toy cat made out of recycled materials. 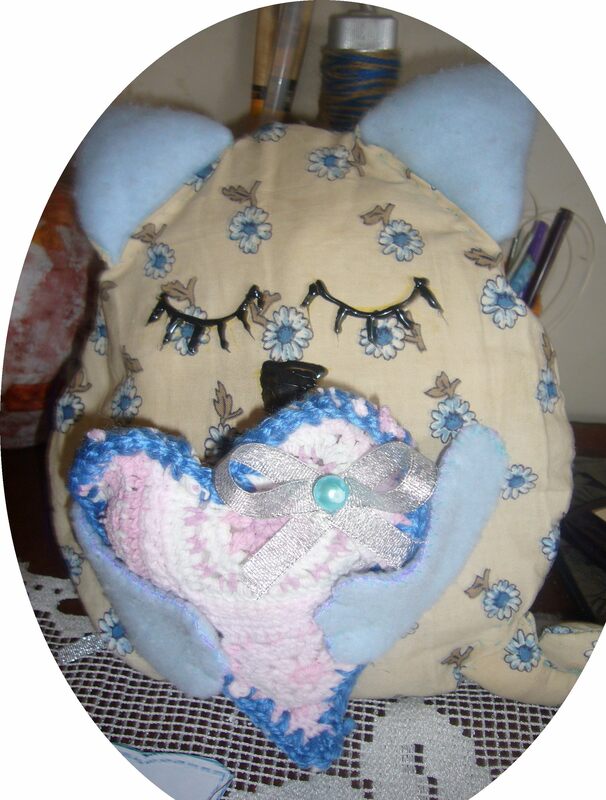 This entry was posted in Go green, Sewing and refashion projects and tagged crafts, crafts for kids, DIY, go green, go green handmade toy cats, handmade, handmade soft toy, handmade toy cat, homemade toy cat, recycled crafts, toys, upcycling. Bookmark the permalink.